It’s Week 34, our penultimate week, and I’m sure many of you probably knew what was coming…😆… yes, our final two rows of granny stitches. And this time, for me these are apricot and mint ice cream! And then we end the week with the 2 coloured rows made up of 3 rows. We’ve used these throughout the blanket although not since the beginning of July… I really wanted to squeeze them in one last time! As usual here’s the weeks round-up from Instagram and what a gorgeous round-up of blankets we have this week! I couldn’t resist the outside photos, especially the visits to the seaside!! These blankets have been to some beautiful places! 💙And there are two finished blankets in this round-up too – aren’t they wonderful! So at the end of row 148 we joined with a new colour but DID NOT made a turning chain. This is so we can make a slip stitch (ss) at the start of this next row (into the first space) to get the hook into the right position so that we can then get 60 x 3tr groups in this next row…Remember it’s UK crochet terminology. I really can’t believe that we’re nearly at the end… what a journey it’s been and sharing it with each other and so many of you is what’s made it so special!! So next week we’ll have 4 final rows and then the edging… and in the meantime don’t forget to weave in all those ends! Next Post: Crochet for a Golden Wedding! Love love love this blanket! I’m having trouble with your stitches. Your TR’s are my DC’s, your doubles are my SC’s so in trying to figure out your DTR and HTR’s, I’m running into problems. Do you have a tutorial for the stitches you use? Hi there Victoria… so happy you’re loving it! 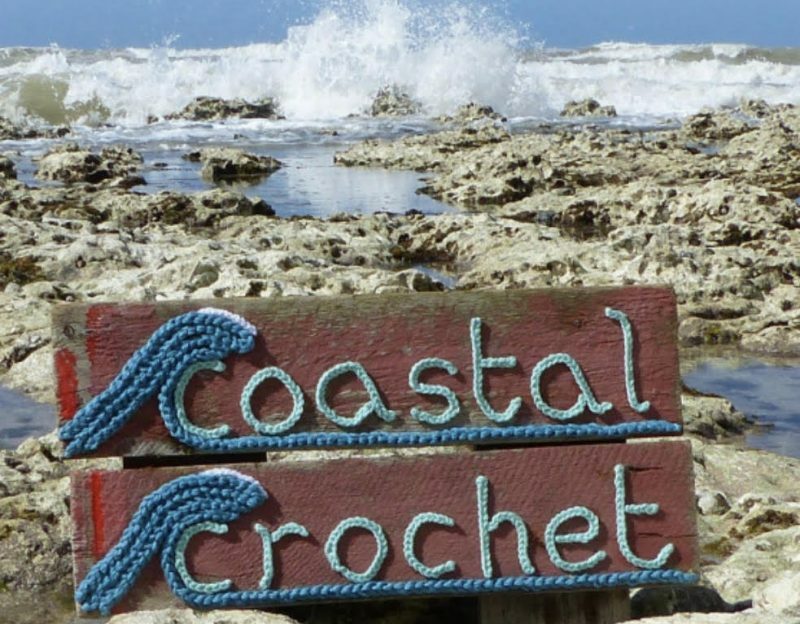 You’re using US terms and I use UK… someone has uploaded the pattern in US terms over on the Facebook group ‘Coastal Crochet Cal’ if that helps? Just look under the files section… My dtr is your tr and my htr is your half double… good luck! What a beautiful blanket. I came across it on one of the blogs of the participants. The beach pics are great – as are the blankets in progress (and finished!) – so pretty!